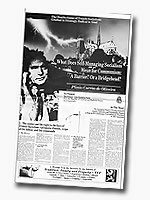 On December 9, 1981, a striking six-page public interest advertisement appeared in The Washington Post and the Frankfurter Allgemeine Zeitung, the first two in a series of such publications to appear throughout the West. In the advertisements, the Societies for the Defense of Tradition, Family and Property (TFP) jointly addressed the public of their respective nations in a message entitled “What Does Self-Managing Socialism Mean for Communism: A Barrier? Or a Bridgehead?” The Message was written by Prof. Plinio Corrêa de Oliveira, the founder and president of the Brazilian TFP. It exposes Francois Mitterrand’s program of self-managing socialism and its ambitious designs for the West. The Message was subsequently published in other leading newspapers in 18 countries of the Free World, bringing the total number of papers in which it appeared up to 44. To date, it has been published in the following countries: the United States, Argentina, Australia, Bolivia, Brazil, Canada, Chile, Colombia, Ecuador, England, Germany, Italy, Peru, Portugal, Spain, Switzerland, Uruguay and Venezuela. The scope of the campaign against self-managing socialism was extended when a one page summary of the Message was published in six of South Africa’s major newspapers. Later, an advertisement summarizing the Message and its world-wide repercussions was published in three papers in Germany, two in Ireland, one in Austria, two in Australia, two in New Zealand, one in Costa Rica, and one in the Philippines. What have been the effects of this weighty document since it was first published in December? The amount of correspondence the TFP centers and bureaus have received is astounding, with thousands of letters and coupons requesting copies of the work to distribute to relatives, friends, libraries and universities. The majority of people expressed enthusiastic support for the campaign, while the very few who showed disagreement sometimes couched it in insulting terms and almost always remained anonymous. We can say that socialism, recently proud of the promotion it had been receiving abroad and its successes in many countries, has now taken a discreet and reserved attitude. Something has changed in the politico-ideological scene of the whole West. What happened in France surprised and confused the optimistic and the naive. Since French self-managing socialism boasted of being democratic and open-minded in politics, the Message published without the slightest difficulty in the democratic press of the whole West should have encountered no obstacle in the major French newspapers of the center and right. But when the thirteen TFPs contacted the six largest Parisian dailies they received dry and inexplicable refusals. Of these papers, one of the most important that had signed a contract to publish the document broke it abruptly soon afterwards. The unanimous conduct of these papers is all the more inexplicable since the Message is a very large paid advertisement that no publishing company would normally refuse. With the publication in France thus prevented, the thirteen TFPs had to content themselves with a mass-mailing of 300,000 copies of the Message all over the country. This drew a large and enthusiastic response and, according to many observers, played an important role in enlightening French public opinion. There followed the significant defeat of the socialist-communist coalition in the recent regional elections. The refusals to publish the Message gave rise to the communiqué entitled “France: The Fist Crushes the Rose,” also by Prof. Plinio Correa de Oliveira. Published in 23 papers of 11 countries, it denounced to world public opinion the presumable interference of the French socialist government in the strange and despotic curtailment of the TFPs’ freedom of speech. The communiqué pointed out that since a socialist government can deprive any company owner of his rights, reduce him to a mere worker, and even expel him from his own company, the newspaper-owner’s independence from the government is only an illusion. This finding has a far-reaching scope: Except for the promise of freedom, all that is left to the self-managing regime is its similarity to communism. Observers and analysts of the recent presidential elections in France are certain that the victorious leftist candidate was helped by votes from considerable sectors of the center and the right. Since Mitterrand&rsqup;s margin over his opponent was 1,065,956 votes (3.1% of the net valid votes not counting blank and void ballots) in the second round of the elections, the shift of centrist and rightist votes to the socialist candidate was a considerable – perhaps decisive – factor in the tight electoral race. One only need consider that a change of just half this number would have meant a tie. This shift is shocking. Twenty years ago, every self-respecting centrist and rightist considered it treason to vote for a candidate of the SP, particularly one who was part of an open coalition with the Communist Party (CP).2 In 1981 this sense of consistency failed in many centrists and rightists of all ages,3 who, with a sometimes indolent or thoughtless tranquility, voted for Mitterrand. How could this have happened? * Translator’s Note: As will be seen on reading this work, the “Socialist Program for the France of the 80’s” (Project socialiste… ) is much more than a mere program of a political party. It encompasses a complete reform of human society and even of man himself. This is expressed well by the French word Projet, which has no suitable equivalent in English. Our word Program although it can be understood in a broad sense, also has a more restricted meaning, corresponding to a short or medium term plan of action. This is the case, for example, of the above mentioned “Common Program of Government of the Left.” Thus, the reader must keep in mind that the word “Program” used in this translation to designate the “Socialist Program for the France of the 80’s” must always he understood in its broader meaning. One can debate which events, places and dates marked the beginning, in the nineteenth century, of the principal movements for cultural and socio-economic leveling. But the fact is that by the middle of the century these movements had spread to many countries and had become solidly established in several, even to the extent of inspiring events such as the Revolution of 1848 in France and the Paris Commune of 1871. Furthermore, in our century they were clearly present among the profound causes of the Russian Revolution of 1917 and the consequent propagation of communist regimes in countries behind and beyond the Iron and Bamboo Curtains.5 This, not to mention all the communist revolutions and agitation which have shaken various parts of the world, including the explosion of the Sorbonne in May 1968. This system is defined as self-managing and affirmed as the logical socio-economic consequence of the people’s political sovereignty. According to this notion, a republic is a politically self-managing nation. A self-managing regime entails the “republicanization” of the socio-economic structure.16 In other words, it is the establishment of a corporate regime in which the orientation given by specialists and technicians is subject to assemblies and organizations made up mostly of people with less intellectual development. Will private property survive in the regime contemplated in the Program? Beware. From the Program‘s language one sees that if you question a French Socialist his answers may be very reassuring…and utterly empty. In current language, state property is distinct from private property.29 Therefore, from a certain standpoint the self-managing enterprise can be considered private, for its relationship to the State is distinct from that of a nationalized enterprise. What determines what a small, medium, and large business enterprise is? We have notions about this matter based on common sense and in accordance with mental habits formed in the present order of things. But the new society does not fit these mental habits; it will generate other habits. So, the “size” of an enterprise will be determined by the law, and the State will be able to “gradually” pare down the amount of property a person may own.31 Within a few years enterprises now considered medium-sized will have to bear the severe taxation now imposed on large enterprises, and enterprises now considered small will be deemed medium-sized. As a result, the number of small private properties (now favored in the fiscal plan) will be ever more limited. Indeed, the Program‘s gradualist strategy rejects the immediate extinction of all private properties but provides for stages leading to their gradual extinction. According to the Program. the self-managing regime will temporarily permit small, medium-sized and even large properties, but, to say the least, the latter two will be moribund categories. Who can say, considering the logic of its iron-fisted egalitarianism, that the self-managing State does not intend to eliminate small properties after it has done away with medium-sized and large ones? The self-managing citizen will find the realm of his purely individual choices, in which he manifests the unique and unmistakable character of his personality, ever more restricted. Both at work and at leisure he will be free to become informed, to dialogue and to vote. But decisions will normally be made by the community. His freedom will be limited to saying what he wishes in public debates and to voting as he likes. As a voter, he is free to choose names and cast his ballot in the decision-making assemblies. As an individual, he is pushed by the Program to the very limits of nonbeing.35 This is not done directly by the State, but rather by a social fabric or mechanism comprising business and non-business self-managing groups. The real power structure in the self-managing society starts out from the assemblies, moves up through the committees and other agencies of society until it finally reaches the State – that is, until self-management heads for the final dissolution of the State and the distribution of its powers to small, autonomous communities.36 The worker could envision the power structure in the shape of a diamond. At one end is his own company, in which he is a speaking and voting molecule. At the opposite end is the State. But the State would be at the top of the diamond and the workers’ assembly at the bottom. We are not suggesting here that self-management, once established, would be a mere façade behind which the State would manipulate everything. That could happen. But we are not discussing the deformations that a self-managed society could suffer once established. We are only considering what the genuine socialist mirage would be if applied in its entirety. In a word, the self-managing society has its own morality and its own philosophy,37 which the robotized worker will inhale even in the air he breathes. In turn, a vision of the Universe implies either an affirmation or a denial of God, a denial perfectly real even though expressed by silence.40 The Program is therefore “atheist,” without God. It is licit to ask whether or not the Program‘s silence about God is merely a “gradualist” stage leading to some kind of a plausibly evolutionist pantheism. The reference to evolutionism is, in turn, related to the arbitrary, anti-natural and artificial character of socialist reformism, and even more closely related to the fundamental relativism that it holds.42 On the basis of very obscure philosophical concepts with whose influence it is nevertheless thoroughly permeated, the Program denies most fundamental principles of the natural order (such as the distinction between the mission of men and women, the family, marital authority, patria potestas, as well as the principle of authority at all levels and in all fields, private property and the right of inheritance). The Program, warring against the work of the Creator, aims at reconstructing a human society diametrically opposed to the God-given nature of man. The Program actually states that one of its goals is interference in the internal politics, and more particularly in the class warfare, of other countries. Therefore, since the SP has risen to power, we must fear that it will use the resources of the French State and France’s international influence to “achieve this goal.47 Thus, for the twelve foreign associations to take a position alongside the esteemed and promising French TFP on the goals and action of the SP in a document published in France and in their respective countries, is not to interfere in exclusively internal affairs of another country but rather to take precautionary action to safeguard the future of their own countries. By publishing this pronouncement, the TFPs and similar associations of the United States, Argentina, Bolivia, Brazil, Canada, Chile, Colombia, Ecuador, Portugal, Spain, Uruguay and Venezuela, in conjunction with the TFP of France, are doing nothing more than exercising their legitimate right of self-defense. “It is necessary for the Communist Party to accept this obvious reality of French politics. The majority of the French will not entrust their government to the left unless it is certain that socialism will establish freedom for our times. “These most perverse philosophers go on to dissolve all links by which men are bound together and to their superiors and by which they are held to the fulfillment of their duties. They cry and proclaim ad nauseam that man is born free and subject to no one, and that therefore society is nothing more than a group of’ stupid men whose imbecility bows to priests (who deceive them) and kings (who oppress then): in such a manner that concord between priesthood and empire is nothing but a monstrous conspiracy against man’s innate liberty.” And he went on: “These boastful protectors of mankind have linked this false and lying word Liberty with another equally fallacious word, Equality. That is, as though there should not be among men gathered in civil society, on account of the fact that the are subject to varied states of mind any move in differing and uncertain ways, each according to the impulse of his desire, someone who by authority and force would prevail, oblige and govern, as well as call to their duties those whose conduct is disorderly, so that society itself not fall under the rash and contradictory impetus of innumerable passions into anarchy, and dissolve completely. It is like harmony, composed of the consonance of many sounds and which, if not made up of appropriate balance of chords and voices, dissolves into disorderly and completely dissonant noises” (Pii VI Pont. Max., Acta, Typis S. Congreg. de Propaganda Fide, Rome 1871, vol. II, p. 26-27). “. . . equality itself [is] one of the most important demands of the workers’ movement” (Program, p. 127). “This is why, even if the values they affirm are those of socialism (and this, by the way, is important), we cannot consider the Eastern societies ‘socialist’ societies. The existence of different social classes and the maintenance of a coercive State apparatus…are inherent to the very relations of production” (Program, pp. 67-69, 7 1). “Someone may say to me: You speak of self-management but fail to clearly define how it will work; you raise it as an abstract goal, a chimerical path toward a vague earthly paradise. That is true. But there is a reason for it. We do not want to build a new utopia so perfect on paper that it is impossible to achieve. Self-management is a continuous and never completed work…In saying this we remain faithful to the spirit of Marxism: Marx never pretended that the end of capitalism would ipso facto entail the establishment of an eternally perfect regime” (Pierre Mauroy, Heriteirs de l’Avenir, Stock, Paris, 1977, pp. 278-279). “Through all its actions, France will reassume, in history, a role which to a great extent explains its influence in the world. France’s radiant influence…cannot be separated from its culture and its past. Abroad, France is first of all that of the revolution of 1789, that of audacity… We want our country, by reassuming its tradition, to bear high and far the values of the rights of man, of fraternity… ” (“Declaration of General Policy,” p. 55). Our general references to the right do not include the traditionalist French right, which goes much farther in its rejection of the trilogy. “While considering that the family plays a very important role in the possibilities of expanding personal life, the Socialist Party certainly the existence of other forms of private life (celibacy, free unions, unwed fatherhood or motherhood, and communities). Finally, it takes its stand against repression or discriminations affecting homosexuals. Their rights and dignity must be respected. ”It is not for it [the SP] to legislate on how each one wants to run his own life,” (Program, pp. 151-152). The current socialist government affirms, in an implicit but shocking manner, it radical equivalence between marriage and other forms of sexual relations. Even before the legislative session started, it already began to fulfill its campaign promises to homosexual groups whose support it received: a) The Ministry of Health decided that France will no longer apply the World Health Organization’s classification of homosexuality as a mental illness (Le Monde, June 28 and 29, 1981) b) At the request of the homosexuals, the Minister of the Interior gave orders to eliminate the branch of the Paris Police called “groups for repression” of homosexuals (consisting of inspectors in charge of controlling homosexual establishments, especially to ensure that closing hours are obeyed) and the files on homosexuals (whose existence, by the way, the police department absolutely denies – cf. Le Monde, June 28 and 29, 1981). “Within the family, the right of youngsters to be themselves means: the possibility for a young person to appeal a decision concerning him (relative to his choice of course or profession, the way he lives … ); the democratization and development of youth homes for young people in conflict with their families;…the facilitation of apartment rental for young people…the free right to contraception and the elimination of parental consent for minors’ voluntary interruption of their own pregnancies, a considerable development of sexual education in schools. and a revision of systematically repressive attitudes concerning the sexuality of minors “(Program, pp. 313-314). “…generous and aggressive conception of the socialists for [bringing about] a great, unified, laicist and democratically-managed public education service ” (Program, 284). The remaining goods belong to the private domain, and not to the public domain. A private proprietor may be an individual, a group, or an association of individual owners. Naturally, this doctrine and this terminology, which exist implicitly or explicitly in current language, are not those of the Program. – They will have a permanent preemptive right[to buy] all land for sale. The lands so acquired may be either resold or leased to farmers who need them” (“Pour une agriculture avec les socialistes” in Les Cahiers de Documentation Socialiste, no. 2, April 1981, p. 20). “The whole movement of science fits into a permanent questioning of the postulates of the preceding phase” (Program, p. 135). “In our view there could be no knowledge constituted once and for all. Since it implies rectification and even continuous reconstruction of reality as we see it, knowledge can never be said to have been attained and must constantly be questioned” (Program, pp. 136-137). The well-known progressivist Catholic magazine Informations Catholiques Internationales (no. 563, June 1981) affirms: “Everyone agrees: one-fourth of those considered to be practicing Catholics are in favor of Mitterrand, and three-fourths are for Giscard …The fact that one out of four of those Catholics voted for Mitterrrand, and is of decisive political importance. Many more than a million votes went to swell the camp of the left. Now…if only half of these Catholics had voted for the outgoing president, it would have been enough to reelect him. Francois Mitterrrand owes his success to, among other causes, the movement that led part of the Catholic to the left.” Not that the magazine singles out only the “practicing Catholics,” One should ask how many baptized by non-practicing Catholics who consider themselves Catholics could have been influence by a firm and enlightening word form the bishops and this have refused to vote for the socialist candidate. In pointing out the reason for Mitterand’s victory, prestigious organs of the press, whose testimony in this mater is not suspect, comment that the most significant advance of the left took place in the Catholic provinces of Western, Eastern and Central France. (cf. La Croix, semi-official organ of the Archdiocese of Paris, 5/12/81; L’Express, 5/5-11/81 and 5/12-15/81, and even L’Humanité, official organ of the Communist Party, 5/ 15/81). Furthermore, as the Program joyfully notes, Catholics not only vote for the SP but even join it, apparently without any major problems of conscience: “The Socialist Party has always aimed to gather, without distinction of philosophical or religious belief all workers who find in socialism their ideal and their principles. So there are more and more Christians who not only join the Party but adopt socialist [methods of] analysis themselves without thereby renouncing their faith…” (Program, p. 29). This fact, by the way, is public and notorious in France. Lest there be any doubt about the meaning of the verb ”join” the citation above, Mitterrand makes it clear in his Conversations avec Guy Claisse: “Militant Catholics are not a cover-up for the Socialist Party. They are at home [in it]. There are very many of them in the Party… “-Are they among the grassroots militants? “-Yes. But also in the national leadership and in the local executive boards” (Francois Mitterrand, Ici et Maintenant – Conversations avec Guy Claisse, Fayard, Paris, 1980, p. 12). Therefore, the bishops’ failure to enlighten these Catholics is entirely inexplicable. Finally, we must note that this openness of Catholics to socialism is not something new, but dates from the middle of the last century, as Mitterrand himself is pleased to register in his abovementioned book: From the beginning, my efforts have been to make Christians faithful to their faith, recognize themselves in our Party, that the multiple sources of socialism may flow towards the same river. In the middle of the nineteenth Century, except for the vanguard of people like Lamennais, Ozanam, Lacordaire, and Arnaud, French Catholics belonged to the conservative camp. The Church, shaken by the first French Revolution, concerned about the progress of the Voltairian spirit, had closed ranks alongside the power of the bourgeoisie, the power of a narrow-minded, egotistic social class, ferocious when necessary… With Christ obscured, the Church an accomplice, there was no way out but to wage a manly struggle to achieve, here and now, a state of affairs delivering you from every, misery and humiliation. By a natural inclination, a majority of the socialists adopted theories that rejected the Christian explanation… A deepening rationalism and the rise of Marxism accentuated in the proletariat the rejection of the Church and her teaching. Socialism, which was made without Her, began to be made against Her. But also, what a silence of Christianity! What a long silence!… Nevertheless, at the end of the century, Leo XIII in Rome and the Sillon among us began the turnaround. The First World War accelerated the evolution. The camaraderie of the front, death everywhere and for all, the country in danger, taught everyone to recognize in each other the colors they subscribed to, even if their laciest or religious translations remained different, if not antagonistic. 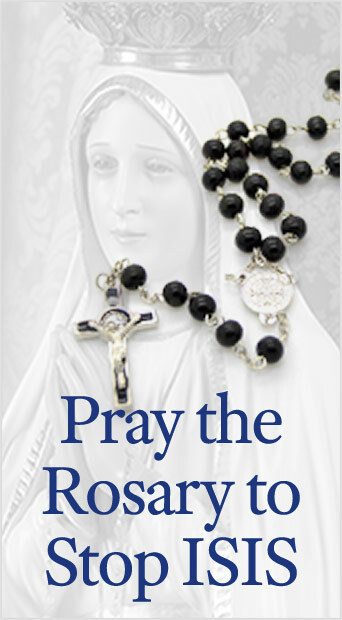 The initial appeal again rose up from the depths of the Church and the Christian world. The personalism of Emmanuel Mounier finished giving Christian socialism its title of nobility (op. cit., pp. 14-15). In the face of this historical panorama painted so much in accordance with socialist taste and style, but unfortunately not lacking many elements of truth, one would expect the French bishops to imitate the mettle and courage of Saint Pius X, who in his Apostolic Letter Notré Charge Apostolique of August 25, 1910, vehemently condemned the Sillon movement (cf. footnote 4) so reverently recalled by Mitterrand. “There could be no socialist program for France alone. The dilemma, ‘liberty or servitude, “socialism or barbarism’ is one that goes beyond our country ” (Program, p. 108). “The Socialist Party is a Party at one and the same time national and international” (Documentation Socialiste, supplement to no. 2, p. 50). “Socialism is international by nature and vocation ” (Program, p. 126). “The Socialist Party adheres to the Socialist International” (Statutes of the SP, article 2, in Documentation Socialiste, supplement to no. 2, p. 51). “The moment it no longer identifies with a universal message, France ceases to exist. France is either a collective ambition or it does not exist” (Program, p. 163). “France, therefore can be the pole of attraction of a new internationalism, (Program, p. 164). “A country like ours…has immense possibilities for carrying high and far, in Europe and in the world, the universal message of socialism” (Program, p. 18). “France will contribute to the democratization of the [European Economic] Community, it will use its institutions to favor directing social struggles toward a common goal” (Program, p. 352). “The Socialist Party…aims at a socialist transformation of international society” (Resolution of the Congress of Nantes in 1977, in Documentation Socialiste, supplement to no. 2, p. 130). “Socialism is either international by nature or it denies itself” (Documentation Socialiste, supplement to no. 9, p. 153). “The search for the autonomy of our development is inseparable from the international perspectives of self-managing socialism. In guiding our action abroad as well as inside our borders, it bases our participation in international cooperation on solidarity with the exploited classes” (Program, p. 339). In this regard, it should be remembered that Mitterrand is one of the vice presidents of the Socialist International (cf. L’Express, May 22 to 28, 1981). He is also a founding member of the International Committee for the Defense of the Sandinist Revolution (cf. Le Figaro 6/26/81). This makes it easy to understand how Comandante Arce, of the Sandinist National Liberation Front greeted Mitterrand as “a militant of the Nicaraguan cause” and a “friend of the Sandinist revolution” whose victory in France has “an immense political value in Nicaragua and Latin America” (cf. Le Monde, 5/13/81). On the day of his inauguration, Mitterrand chose to pay homage, with a luncheon in the Elysee Palace, to European socialist leaders and chiefs of state, as well as to representatives of the Latin American left. At his express desire, the widow of Marxist ex-president Allende sat at his right (cf. El Espectador, Bogota, Colombia, 5/24/81). As President, Mitterrand declared France’s support of the fight of the Salvadoran people as an “urgent priority” and he promised to help Nicaragua “in its difficult job of reconstruction. Latin America does not belong to anyone. It is trying to belong to itself, and it is important that France and Europe assist in the realization of this goal.” Mitterrand declared (cf. Jornal do Brasil, Rio de Janeiro, 7/19/81). Thanking Fidel Castro upon receiving his congratulations, Mitterrand sent him a telegram expressing his joy at the personal ties uniting him to the communist tyrant and manifested his hope to “strengthen the friendship between France and Cuba” (cf. Le Monde, 6/3/81). Confirming that intention, Antoine Blanca, personal assistant of Prime Minister Mauroy and the man in charge of relations between his Party and Latin America and the Caribbean, declared that the French SP will not tolerate any aggression, economic blockade or discrimination against Cuba (cf. Folha de São Paulo, São Paulo, 7/27/81). More recently, the French and Mexican governments signed a joint communique categorically supporting the “Farabundo Marti National Liberation Front, guerrilla organization made up of five Marxist groups working to overthrow the regime in El Salvador. The communique, released simultaneously in Paris and in Mexico, was delivered to the UN for distribution among member countries (cf. Folha de São Paulo, 8/29/81) and provoked a strong reaction from twelve Latin American countries, which declared the attitude of France and Mexico a “‘flagrant interference, in El Salvador’s internal affairs (cf. Jornal do Brasil, 9/4/81). This entry was posted in Plinio Corrêa de Oliveira and tagged barrier, bridgehead, Communism, Defense, double, Francois, French, game, message, Mitterrand, Paris, public, publication, self-managing, socialism, society, statement, TFP, world by Plinio Corrêa de Oliveira. Bookmark the permalink.